The 70s blaxploitation classic Super Fly was no masterpiece, but it was a provocative time capsule of flash, style and soulful soundtrack. Any attempt to recapture the spirit seems doomed to failure. But Director X, with a decades-long career in flashy music videos showcasing the same kind of decadent lifestyle first glamorized by films like Super Fly, has the cred to take a good swing. Plus, he throws in some Curtis Mayfield just when you missed him the most. It’s clear X and screenwriter Alex Tse (Watchmen) are fans of Gordon Parks Jr.’s first and most important film. Tse is mostly, surprisingly faithful to the original. 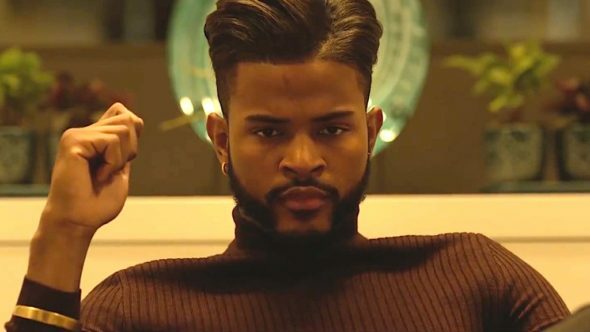 Youngblood Priest (Trevor Jackson) is a successful drug dealer who wants out while he still looks good, but The Man and an assortment of less-controlled colleagues complicate an already difficult process. Less provocative than the original by a wide margin, X’s vision still takes some hard-earned enjoyment in scenes of comeuppance that are, unfortunately, as timely today as they were when Ron O’Neal outwitted corrupt New York detectives 46 years ago. The update is marginally more respectful of women and boasts an impressive supporting cast including the always welcome Jason Mitchell, the always intimidating Michael Kenneth Williams, and a great turn by Esai Morales. Oddly enough, that splashy support, which enlivens the film immeasurably, also helps to showcase its weakness—Jackson. There’s no conflicted soul inside that leather duster and skinny jeans, no tormented mind beneath that pompadour. Sure, O’Neal’s karate and cape now seem embarrassingly of-the-moment, but his performance evoked a restlessness and internal conflict that Jackson cannot manage. A clever new image built on the skeleton of the groundbreaking ’72 film, SuperFly does not manage to provoke, intrigue or satisfy in the same way as the original. It does have style, though, and something relevant to say.